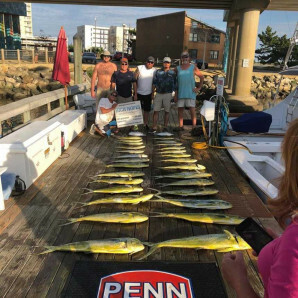 Fishing Report Archives - Page 3 of 62 - Virginia Beach Fishing Center Ltd. Yesterday, we had the Backlash and Capt. Cheryl fishing inshore! The Capt. 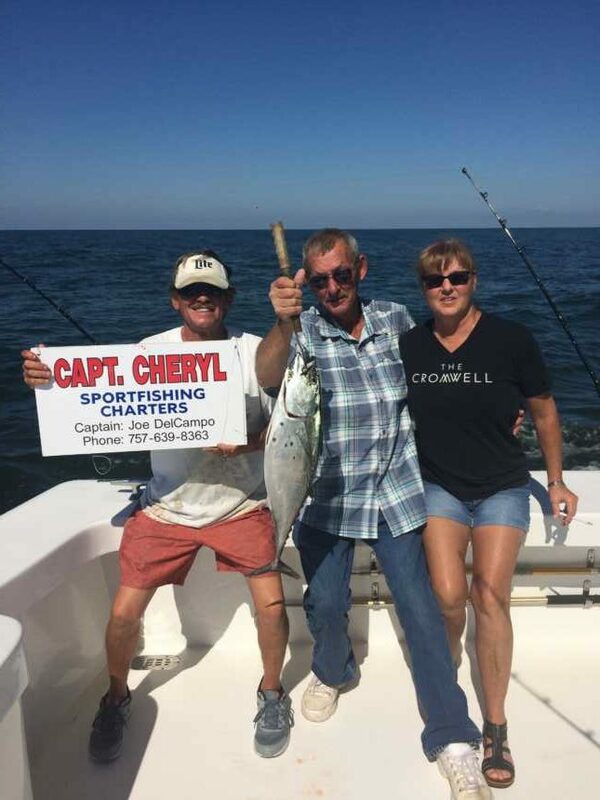 Cheryl had a great day catching Spanish Mackerel, some really nice Bluefish and also a whopper of a King Mackerel. The Backlash also had an awesome day catching Spanish Mackerel and catching (and releasing) some nice Cobia. 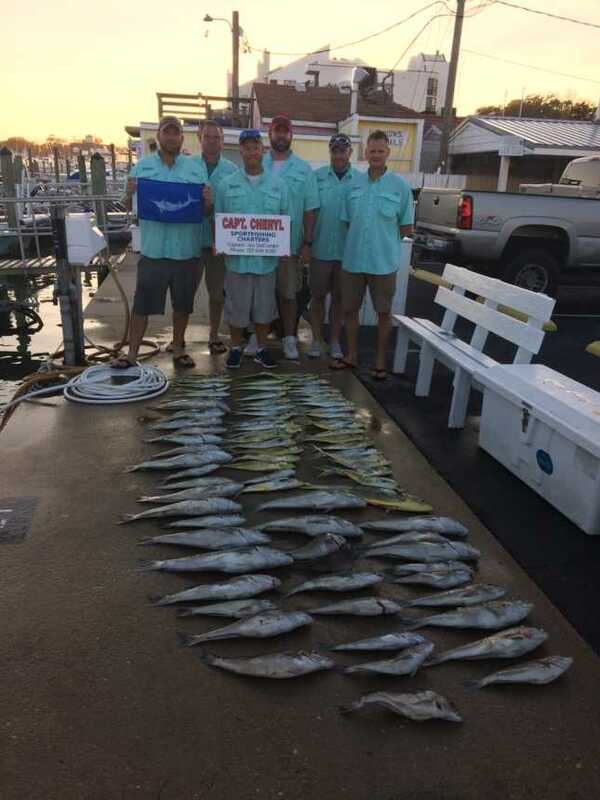 The offshore fishing has continued to be strong with lots of boats from Rudee Inlet still producing some strong numbers! Give us a call today to get out while you can! 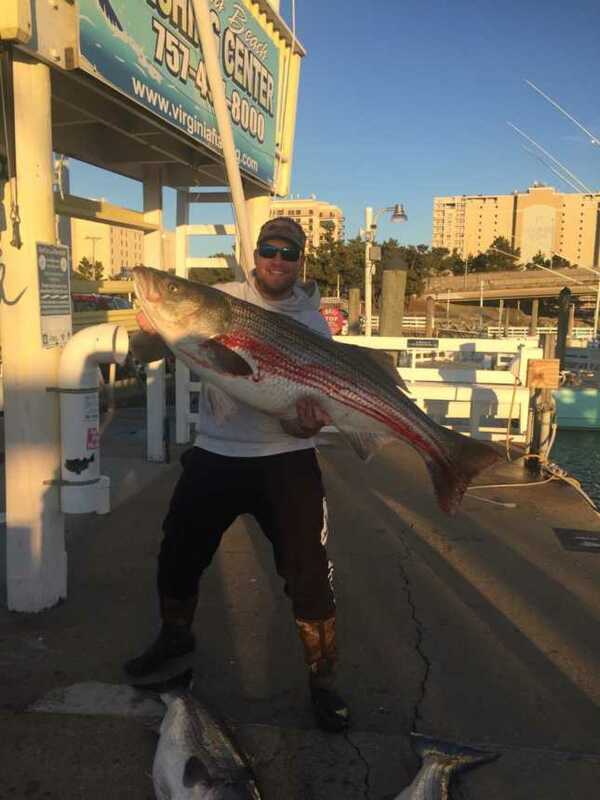 October 4 Backlash fished offshore and High Hopes fished inshore. 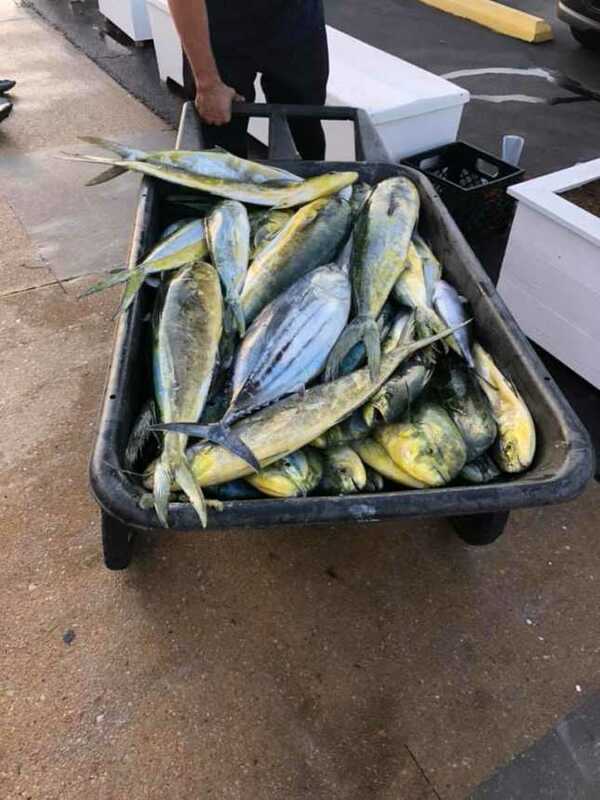 Backlash had a great day fishing offshore and came back with a huge meat haul of Dolphin. High Hopes also had a good day. 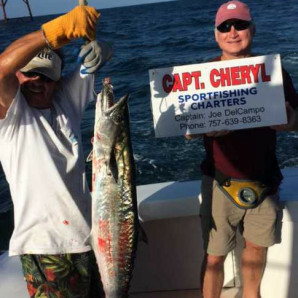 They returned to the docks from their day of inshore fishing with Spanish Mackerel, and a Citation King Mackerel! October 5 we had the Backlash fishing inshore. 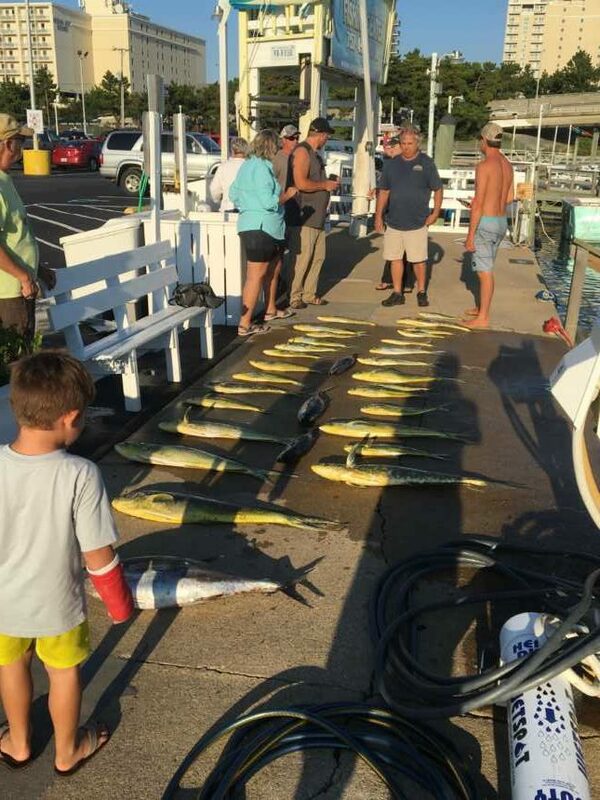 They came back in with 2 Spanish Mackerel, including one citation sized! We had a cold front come through yesterday afternoon that slowed the inshore fishing down, but we are expecting it to pick right back up as that cold front passes! 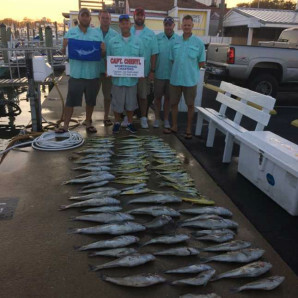 Offshore fishing is still going strong, we had reports of plentiful Marlin being caught on boats fishing out of Rudee Inlet! October 2, High Hopes fished offshore, and came back with a great catch of Dolphin! 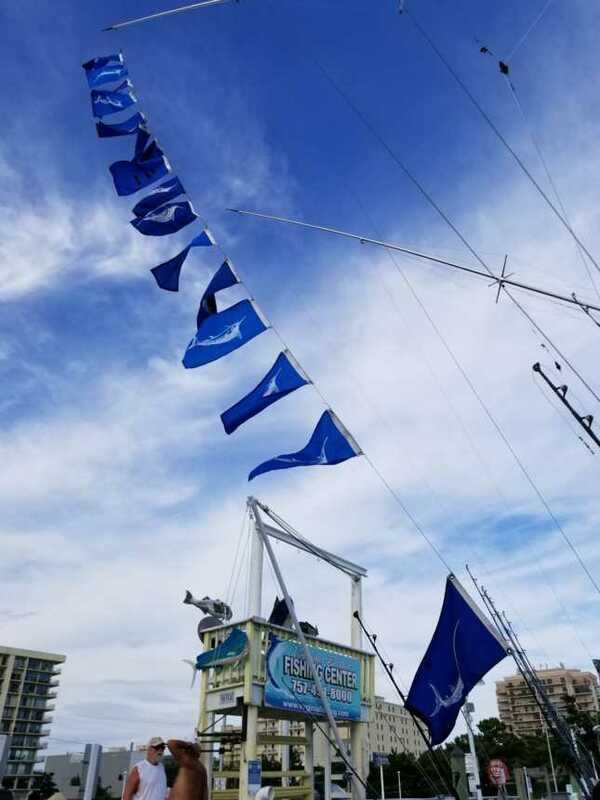 Backlash spent their day “fun fishing” offshore and returned with 2 White Marlin releases and a load of Dolphin! 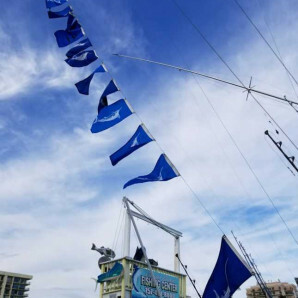 We have also been getting reports from private boats fishing out of Rudee Inlet that have been coming back with Dolphin as well as White Marlin and Blue Marlin releases! Yesterday, the Capt. 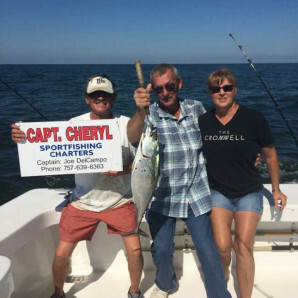 Cheryl ended up taking an inshore half-day trip! 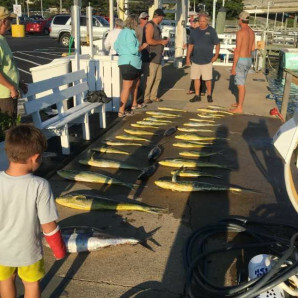 They came back to the docks after having caught False Albacore and Spanish Mackerel! Today, we have the High Hopes and Backlash offshore so be sure to check back later to see how they did! Yesterday, we had the Backlash and Top Notch offshore! Both boats enjoyed a beautiful day out in the Norfolk Canyon. 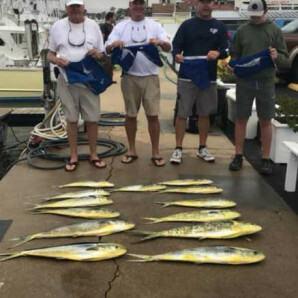 The Backlash came in with an awesome meat haul of Dolphin, a Yellowfin Tuna, a few Albacore and also had a White Marlin release. The Top Notch also had a great meat haul, hitting the docks with some impressive Dolphin, a few Buoy Jacks and also another White Marlin release. The fishing is still going strong so give us a call today to get a trip booked before any bad weather hits! 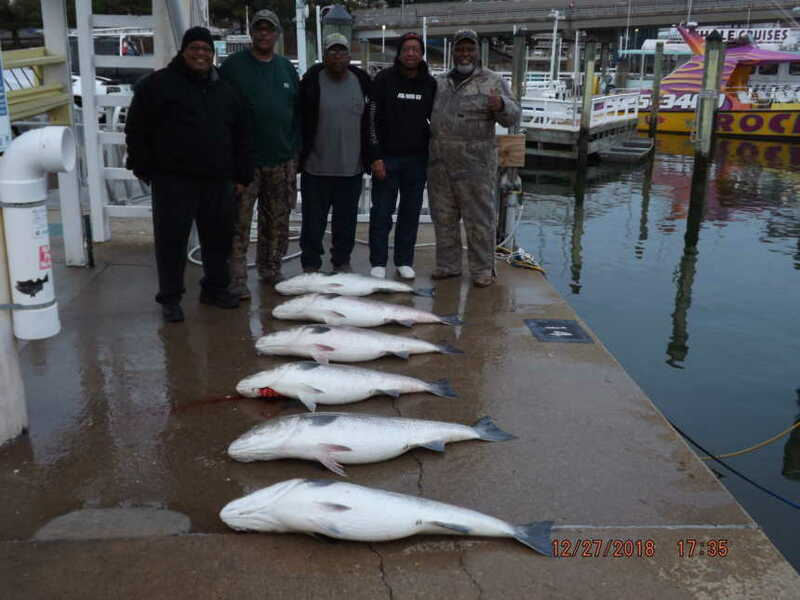 Saturday, September 29, Backlash and High Hopes fished inshore while Top Notch fished offshore. High Hopes had a beautiful morning inshore coming back with a nice catch of Spanish Mackerel , 4 False Albacore , 1 Cobia , & a citation King Mackerel!! Offshore Top Notch also had a great day of fishing! 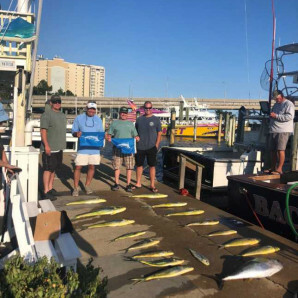 They returned to the docks with a huge haul of Dolphin, as well as 3 White Marlin Releases! 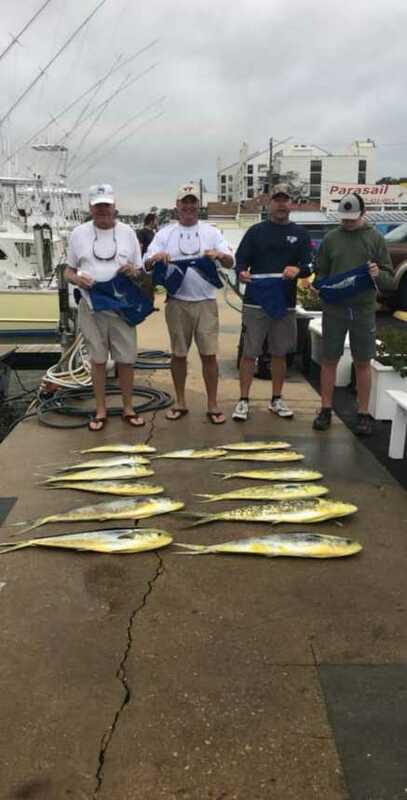 9.27.18 Backlash fished offshore and came back with 6 White Marlin, and a nice haul of Dolphin! 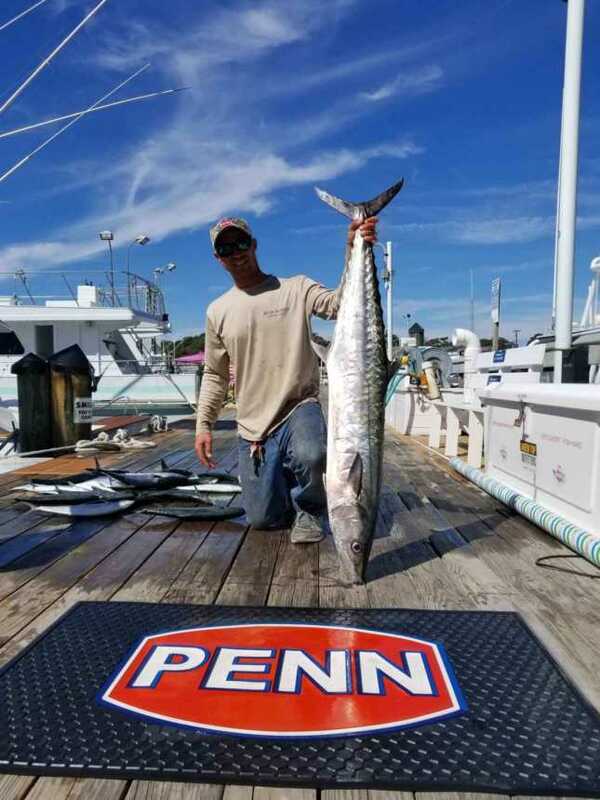 Fishing is continuing to pick up so make sure to get your fall fishing charter booked! Wednesday, September 26, Backlash and Capt. 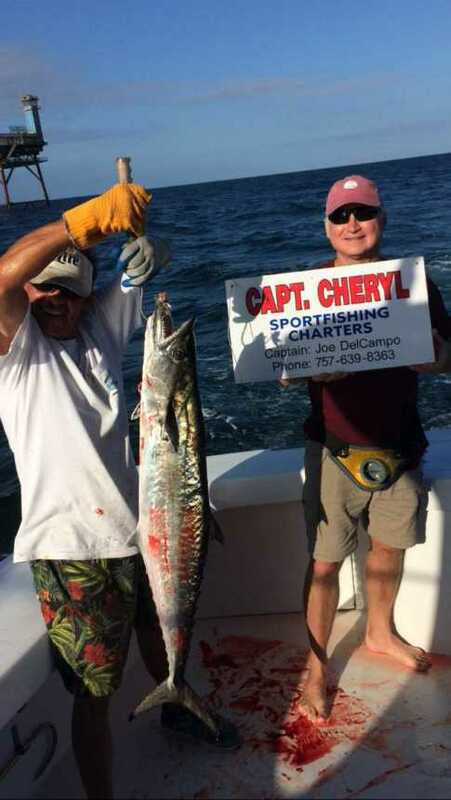 Cheryl fished offshore. 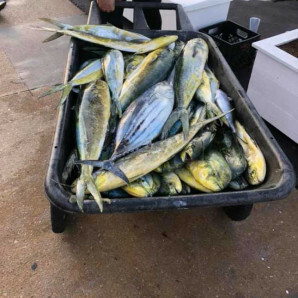 Backlash came in with a huge meat haul of Dolphin! Capt. 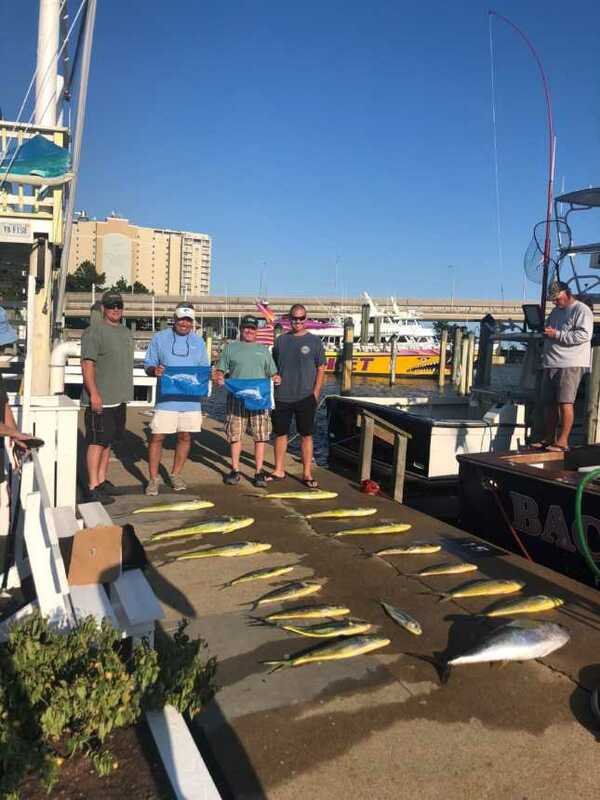 Cheryl also had a great day offshore returning with a load of Tilefish and Dolphin, as well as a White Marlin Release! 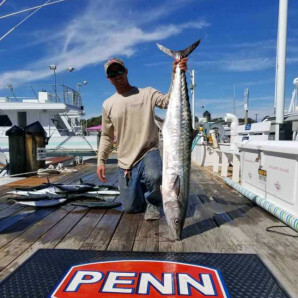 Fishing offshore has continued to pick up, so make sure to give our office a call to book your charter!